It’s no secret that I love movies. Why else would I write this blog, week after week? It’s not just for the drinks- I swear. What I love most of all are movies about movies. This brings me to the Italian component of Foreign Cinema Month, Cinema Paradiso (DVD). I’m not ashamed to admit that this schmaltzy, idealistic movie about the power of cinema tugs at my heartstrings every time, turning me into a weeping mess on the sofa. If you’re not affected even a little bit by the final montage, well then, I can’t help you. 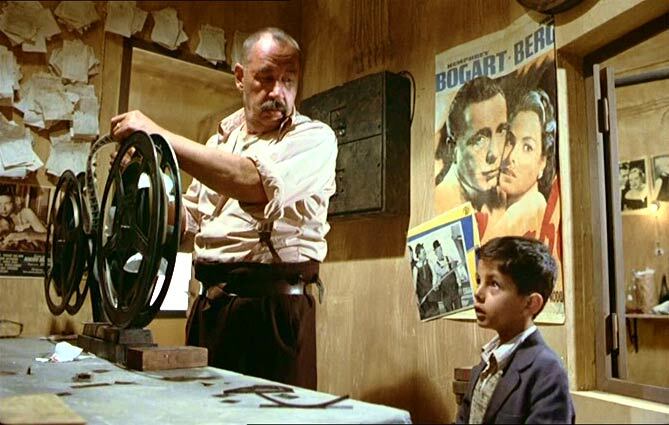 Cinema Paradiso is at its core a love story between a boy and the art of cinema. Cute little Salvatore (`Toto’) pesters Alfredo (the projectionist at his local small-town cinema) into letting him help out in the projection room. Alfredo becomes a father figure, teaching Toto life lessons through movies, and encouraging him to follow his dreams of becoming a filmmaker. There’s a tepid love story that weaves itself through Toto’s adolescent years, but it can’t compare to the love stories we see on the screen of the tiny Italian movie theater. The film touches on religious censorship within Italian cinema, thus setting up the big finale. I feel like the Italians are the only ones who could have done this story justice, and their beautiful language only adds to the romance of the film as a whole. Because this movie is a celebration of cinema, I think it deserves a prosecco toast. Pair it with the Italian aperitif Aperol, and you’ve got yourself a pretty, sparkly beverage evoking the Italian sunset. While watching Cinema Paradiso, I recommend drinking an Aperol Spritz. 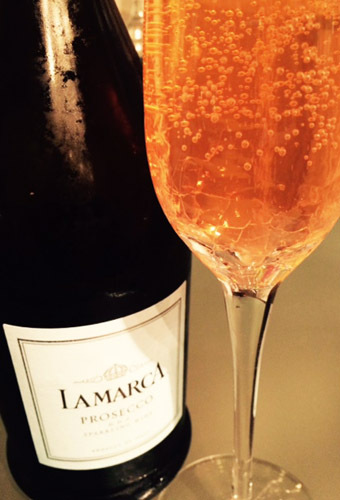 Pour Aperol into a chilled flute or wine glass, and top with prosecco and club soda. Garnish with an orange twist if desired. Toast to il cinema italiano! There have been a handful of other films about cinephiles (The Dreamers, Hugo, etc.) but Cinema Paradiso will always be my favorite. I first saw it as a teenager in a small town in Pennsylvania, and at the time it made me feel a little less alone. Like maybe, just maybe, I wasn’t crazy for wanting to barricade myself in my room with a stack of VHS tapes from Blockbuster. Toto ended up alright, anyway. In many ways this blog, and the wonderful comments it receives, does the same thing for me as an adult. Here’s to Italy, and amore. Cin Cin! Posted in Dramas, Foreign and tagged Aperol spritz, Cinema Paradiso, cocktails and cinema, Foreign Cinema, italian aperatif, italian cocktails, prosecco cocktail. Bookmark the permalink.